The Episode starts with Gayatri and Bua asking Ronak to do puja with Muskaan, but Kajal will also do the puja with them. Ronak agrees. Eveveryone does the puja one by one. Ronak, Muskaan and Kajal together do the puja. Someone pulls Kajal away. Kajal gets angry seeing Ronak and Muskaan doing the Abhishek together. She asks who pulled my hand. Rajni slaps her. Gayatri asks what are you doing. Rajni says enough, I slapped my daughter because of you. She scolds Kajal, how could Kajal try to commit suicide. Ronak recalls calling Rajni and informing her about Kajal’s suicide attempt. She gets angry. He says I doubt that she can attempt suicide again, just you can stop her, you have to take Kajal with you. FB ends. Rajni says they have many children, I just have you Kajal, you can’t risk your life, you are here as you are stubborn, Ronak didn’t accept you and did puja with his wife, its enough now, Kajal will come with me now itself. She takes Kajal. Kajal stops her and begs her. She promises that she won’t hurt herself. Sir ji and Gayatri ask Rajni to let Kajal be with them. Rajni takes promise from Kajal that she won’t do this again. She hugs Kajal. Kajal goes to her room and calls someone. She says Muskaan is coming close to Ronak, what shall I do, I will not let Ronak be of Muskaan. The guy says fine then, its time to kill Ronal. Kajal asks him not to do anything such. He tells her plan. Ronak comes to Sir ji and argues. He warns Sir ji and hopes that he has understood. He leaves. Kajal comes to Ronak’s room and sees his tshirt. She puts a needle on the collar. Ronak comes and wears tee. Kajal goes to help him. Muskaan also comes to help. They fall over the bed. He looks at Muskaan. Muskaan gets up. He holds Muskaan’s hand. Mrs. Sinha comes and sees them. She thinks its tough to decide in anyone’s favor. Ronak and Kajal get up. He greets Mrs. Sinha. Hanumant gets tea for Ronak. Ronak tells him everything. He says I m sponsorship the education of some girls for Aarti’s sake, Muskaan shouldn’t know this, have tea and go to college. Hanumant smiles. Kajal comes to Gayatri. She asks her to see an alliance for Dolly. Gayatri says you think so much for this house, I also thought for this. Kajal says I have called the pandit. Teacher objects seeing Muskaan. A guy comes to defend her again. He asks Muskaan not to worry and attend all lectures. She thanks him. He says I should thank you, you are an inspiration for people. Ronak is on the way. A truck follows him. Ronak signs the truck driver and then changes his way. His bike slides and he gets saved. Ronak falls down the bike. The truck driver tries to hit him. Ronak gets shocked when the truck reaches close. His leg is stuck under the bike. Gayatri meets Armaan. Muskaan comes home and sees Armaan. Dolly gets Muskaan and Armaan’s pics. She refuses to get married. 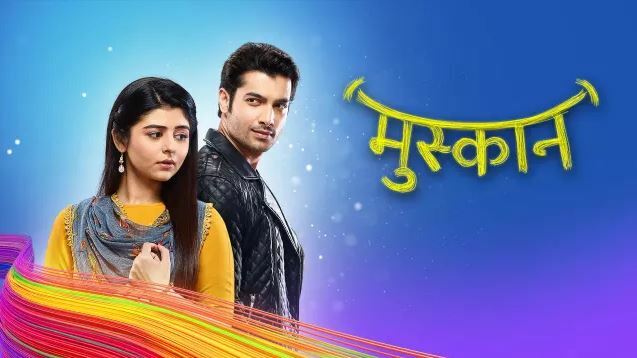 The post Muskaan 5th March 2019 Written Episode Update: Someone tries to kill Ronak appeared first on Telly Updates.